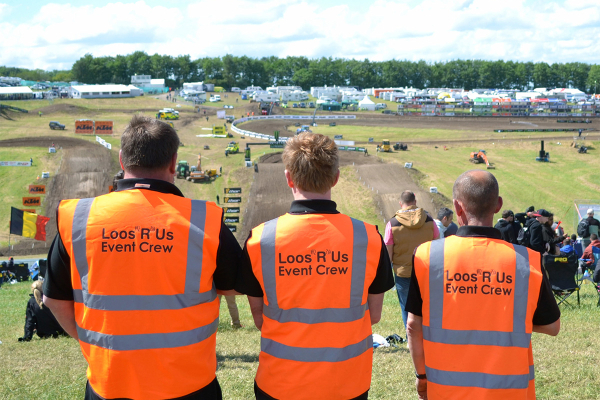 Site Event Toilet Attendants are all long serving members of our staff. They are NSQ (National Sanitary Qualified), which is an accreditation we take most seriously. The qualification, which is offered by ‘Portable Sanitation Europe’ is designed by industry experts and is the only industry specific Health & Safety training in the UK. Particular elements covered are risk management and Health & Safety compliance, including servicing, manual handling, first aid, slips, trips and falls. We are very particular about the smartness of the attendants that we supply to events. Fully uniformed and wearing smart collar and tie, their appearance assures visitors/ guests of a professional service. Toilet attendants can work up to 8 hours, however we can provide further toilet attendants either on a shift basis or in multiples if required. We do ask for a travel time allowance within the hourly calculation. Please contact our sales staff for a free quotation. We recommend considering the services of our toilet attendants when; toilets are under intense use and may require an intermediate clean or replenishment with toilet paper of paper towels and chemicals at weddings, large anniversary parties, awards ceremonies, prestigious ‘high end’ events and high volume attendance gatherings, although we cannot control queues. In the case of hiring a toilet trailer or trailers, we not only check periodically on supplies and cleanliness, but also on water and waste levels, allowing you to relax and ‘leave the loos to us’. Our attendants also are very familiar with all of our hire equipment and can usually remedy any on site problems. For longer duration events our staff will not only have a full stock of consumables but will also be there to top up water levels and if necessary empty waste tanks, due to over demand, although we only recommend this during quieter moments or at a strategic interval in proceedings.